Here is a close up too! Categories: Cards | Tags: Card making, Cards, color challenge, Gina K designs, heat embossing, rubber stamps, stamping | Permalink. This is fabulous, Nancy. 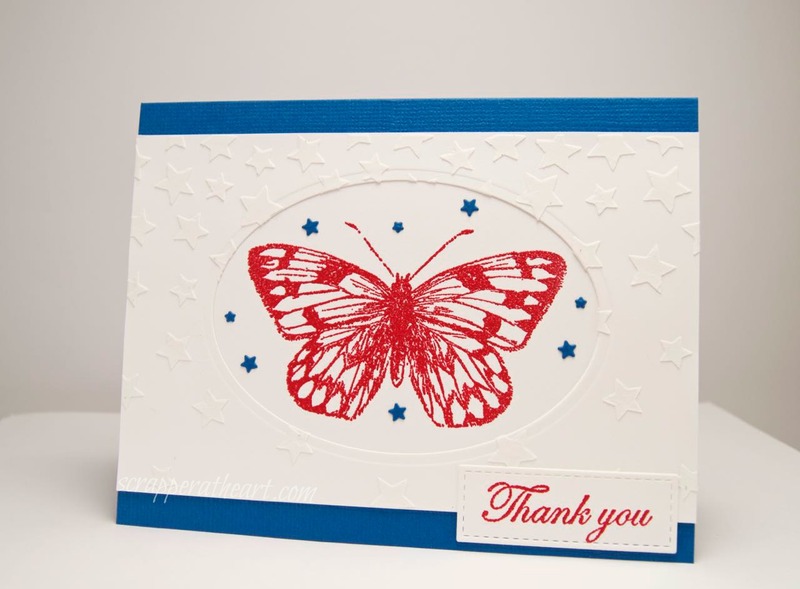 I love the embossed stars and the butterfly is gorgeous. Fantastic design and love all the stars. I love it. This is so pretty and perfect use of the colors. Such a fun patriotic card! What a truly lovely card. Love the background little stars and that butterfly is gorgeous. Stunning card Nancy 🙂 Love the colour combination. I love this! 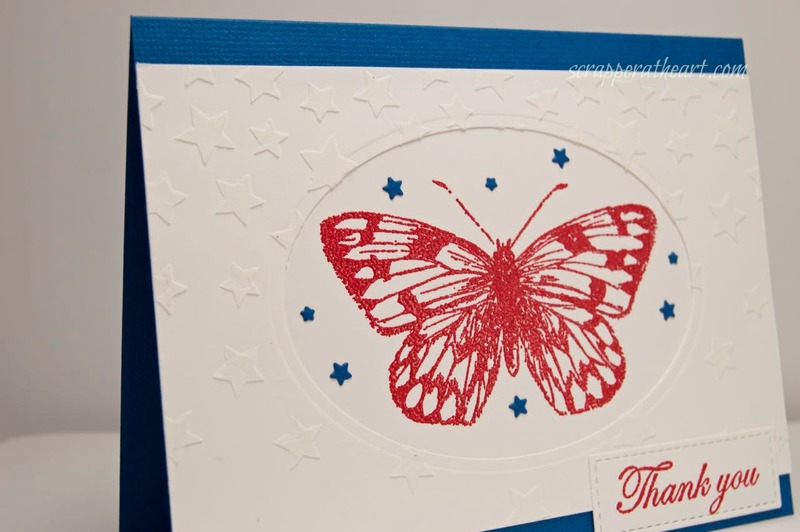 The embossed star background and the bright red butterfly are perfect together!